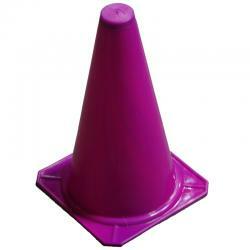 Great for athletic drills, distance markers, etc. 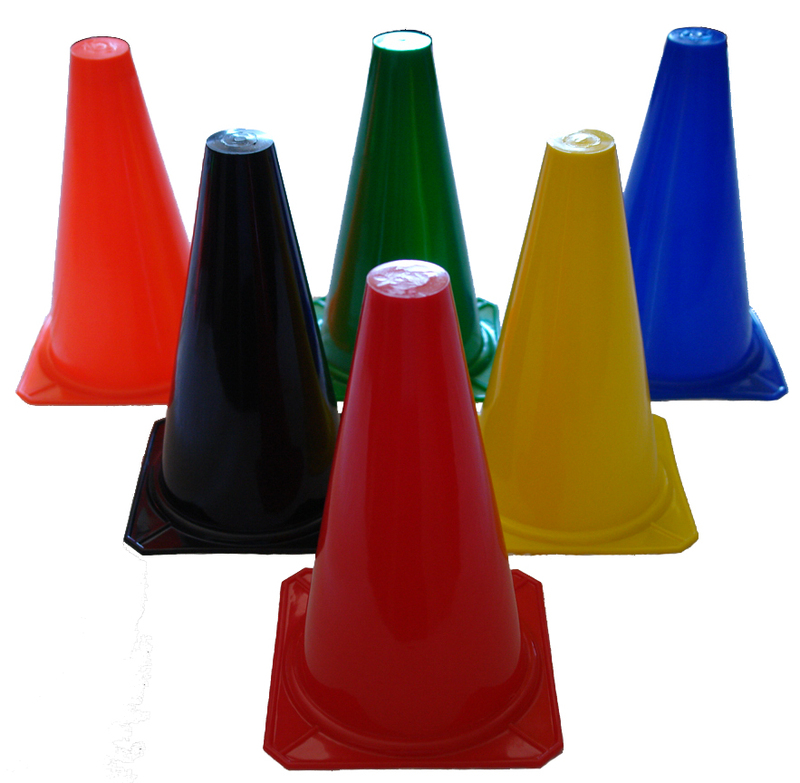 Our high quality assorted 9" agility cones are ideal for speed and plyometric drills. 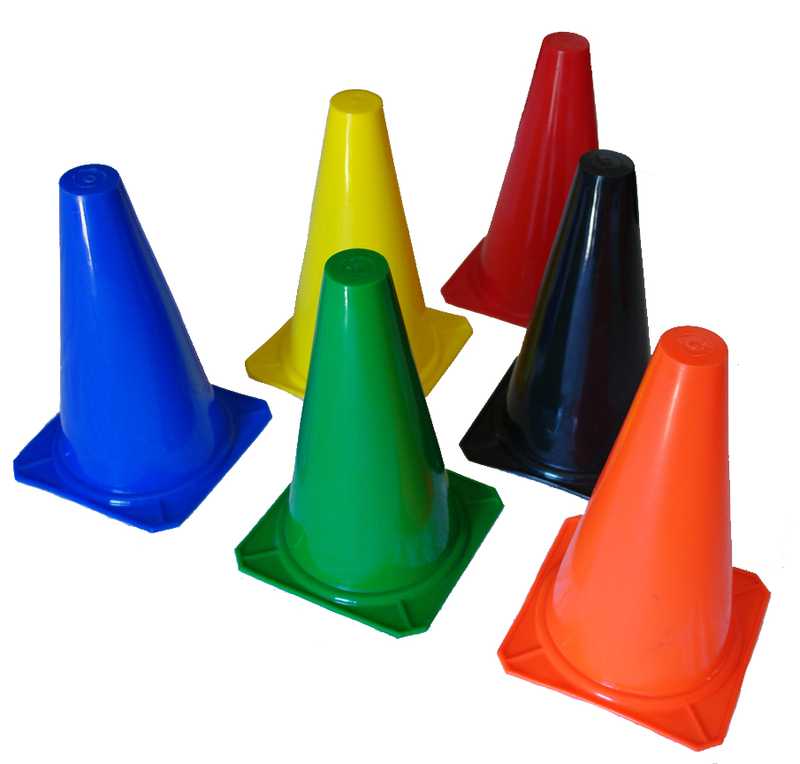 Use them as field/distance markers for sports, boot camps, group fitness classes, and more. 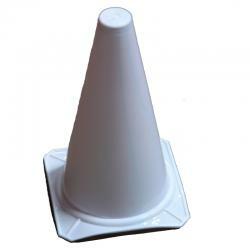 The cones are extremely durable in all weather conditions. They are constructed of hard plastic material. Each cone features a shiny gloss finish. Suited for both indoor and outdoor use. Cones are flat on the top (no holes).